We are all students and teachers, every day, in many ways. Yoga helps us get clear on who we are and manifest our truest selves as individuals inside our communities. If a sense of discovery is calling you to deepen your yoga experience, whether your intention is to boost your knowledge or to teach yoga to others, this unique and empowering training will guide you on a path of exploration. Let us introduce you to the biggest, boldest version of YOU! The teacher training is a commitment that will require you to investigate places within yourself where you may not have ventured before, and will reward you with the recognition of strengths you may not know exist. Be ready for an adventure! Amazing things take time and effort. 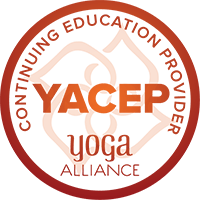 The training also includes a selfless service project to bring your yoga off the mat and benefit the community. Showing up physically, remaining present mentally and emotionally, and being up for having fun are all essentials to complete the training. You will also be asked (as a group) to fundraise money for the service project, which you will learn about after applying (it will be completed during the time period of the teacher training). 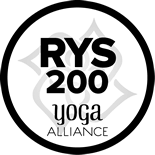 Unlimited yoga at both our locations is included for the teacher trainees during the length of the program. If you are ready to sign up (and for any other questions), email us at events@dimitraYOGA.com and we will send you the Dimitra Yoga 2019/2020 Teacher Training Application. Email or send complete application with $500 non-refundable down payment toward your tuition (down payment will be refunded if training fills up). Enrollment is limited. We recommend submitting your application no later than the Early Bird deadline, as listed below, to hold your spot. Applications received after August 15, 2019, will be considered as space in the program allows. Register and pay in full by August 15, 2019. Includes $500 down payment, and you are saving $150 off regular tuition! Pay after August 15, 2019 and before start of program by October 4, 2019. Must register and provide $500 down payment by August 15, 2019. Pay 6 monthly installments of $475 from October 2019 through March 2020.